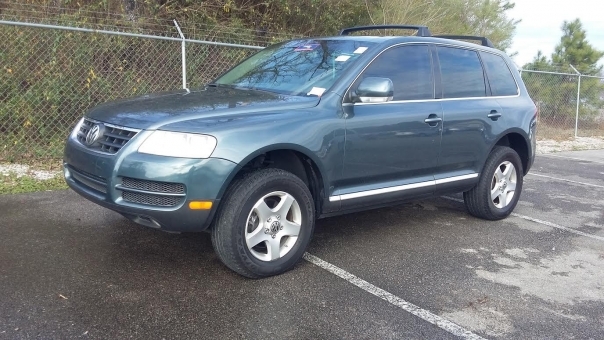 2004 VW TOUAREG, 130279 MILES. THE LEATHER IS CLEAN WITH NO HOLES AS WELL AS THE BODY. WITH THE AGE IT MIGHT HAVE SOME LIGHT SCRATCHES AND DINGS BUT NOTHING MAJOR. DO NOT HESITATE IF YOU HAVE ANY QUESTION.